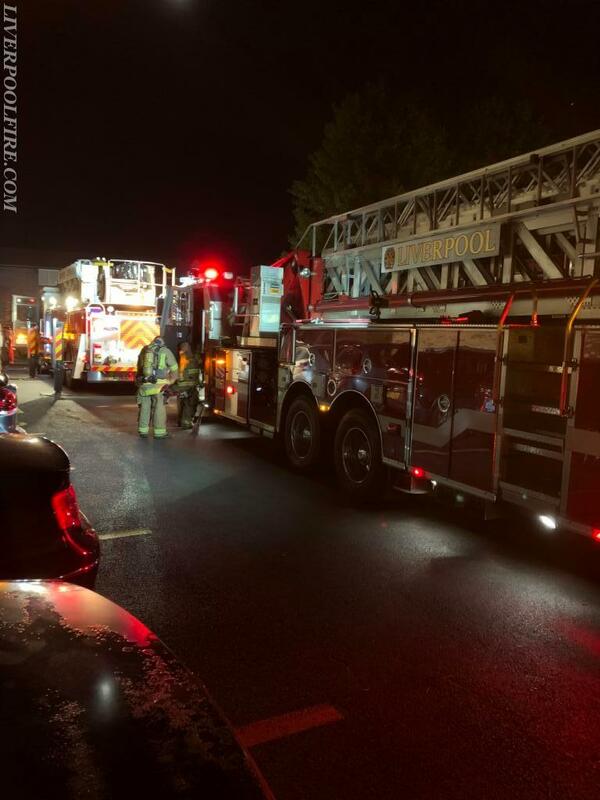 Around 2am Wednesday May 30th, Moyers Corners Fire Dept along with the Liverpool Truck was alerted to a possible apartment fire on Candlelight Cir. Liverpool Car 4 (DC Manley) arrived as the first Chief, with light smoke showing from the second floor. Moyers Corners units quickly arrived stretched a line up to the second floor and began opening up looking for the fire. Truck 2 (DC Laakso) and his crew quickly went to work and began opening up with the crews already inside. 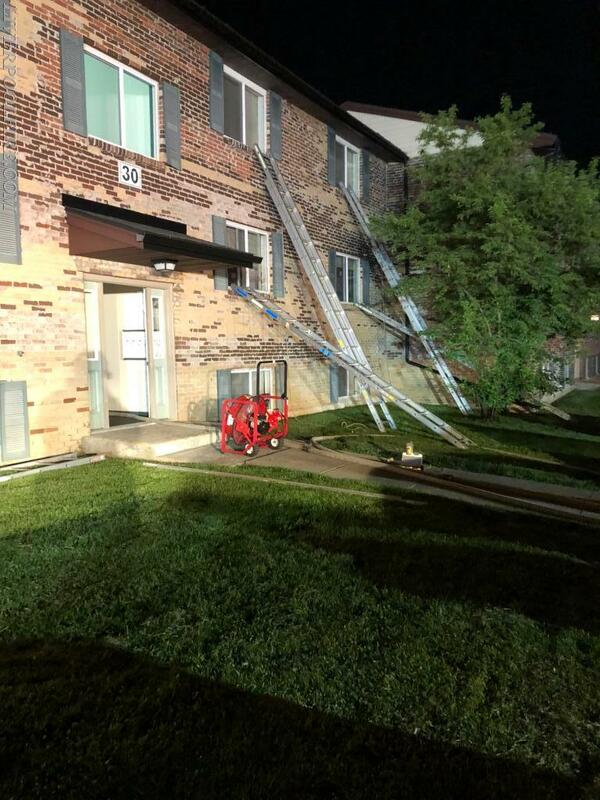 The fire was located in an attic space and was knocked down with 1 line. A second crew from the truck assisted outside with ladders. Quick work from the crews on scene contained the fire to just one unit. Units operated on scene for roughly an hour before returning to service.